Marriages (1653 – 1733/4) and Burials (1590 – 1720), and also of The Independent, Baptist and Wesleyan of Bromsgrove (1739 – 1837). Also includes Monumental Inscriptions for St Peter RC Bromsgrove and Bromsgrove URC. Bromsgrove Poll Tax of 1690 and Bromsgrove 1811 & 1821 Census. The data is supported by a single clickable index. Once purchased, see the README-zipped file for information on extracting files and then see the README file for information on use of the extracted files. Worcestershire Sheet 15.16 Bromsgrove 1926 - published 2004; introduction by Malcolm Nixon This detailed map covers most of the town of B..
Transcript & Surname index 1851 census Worcestershire Volume 10 Bromsgrove Part 1 Public Record office Ref: HO 107/2047 I..
Transcript & Surname index 1851 census Worcestershire Volume 10 Bromsgrove Part 3 including Tardebigg, Tutnal & Cobley, ..
Bromsgrove and Chadwick meetings Extracts from the registers of the society of friends 1635-1797 Also available as a downloadable pdf file ..
Monumental Inscriptions on Microfiche Bromsgrove, St. Peter's R.C. Church Also available as a downloadable pdf file There is no da..
Monumental Inscriptions on Microfiche Bromsgrove, St. John’s Church Also available as a downloadable pdf file There is no date per..
Bromsgrove School Register (1553 - 1905) Published by Old Bromsgrovians, this book contains a brief history of..
Monumental Inscriptions Bromsgrove, St. John’s Church There are 2 downloadable pdf files (approx. 2.5MB, 49 pages) An index file and..
Bromsgrove and Chadwick meetings Extracts from the registers of the society of friends 1635-1797 This is a downloadable PDF file(approx. 10.9M..
Bromsgrove Independent Baptist and Wesleyan Register Upto 1837 Contents Chapel Lane(formerly Upper Meeting Independent) 1739-1767 ..
Bromsgrove, Droitwich and Redditch Bentleys Directory 1840 This is a downloadable PDF file (approx. 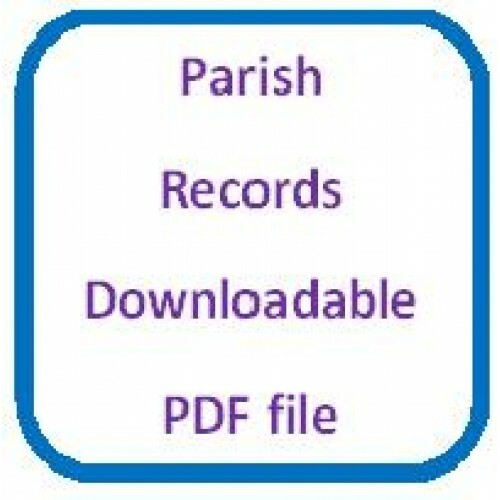 5.3MB, 155 pages) File will be av..
Bromsgrove Census 1811 and 1821 This is a downloadable set of 3 PDF files 2 different versions of the files (approx. 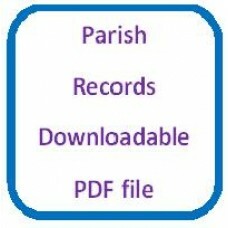 8.8MB)Now with a..
Bromsgrove and The Poll Tax 1690 This is a downloadable PDF file (approx. 7.0MB, 51 pages) File will be available as soon as you have paid..